We must have been forwarded loads of Wishes to each other on Mahashivratri. 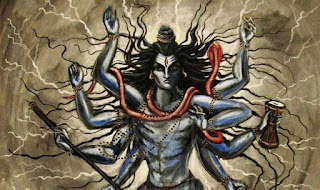 There are lots of occasional worshippers who express their love for Shiva on Mahashivratri. I doubt that, after all those years of worship, anyone has ever come close towards knowing about the form of Shiva. There are various poses and forms of Shiva which are being described or presented to us by calendar painters, TV serials etc. 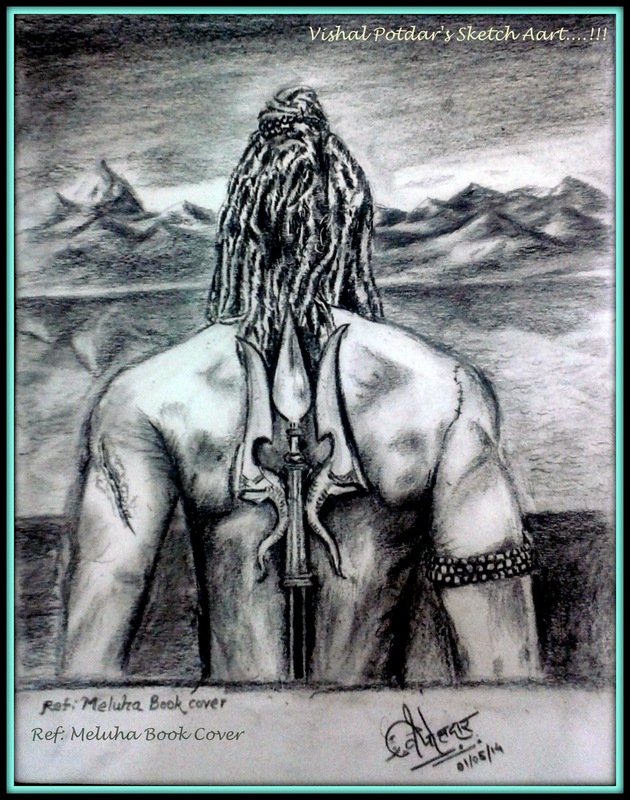 For a while, I have read plenty of online articles published by well-known sources and has summarised and presented here forms of Shiva, that has been described to us for centuries. But, All of his forms teaches us something. If we fail to receive the wisdom out of it, then we fail to worship him. Last year, our PM Mr Narendra Modi unveiled 112 ft statue of Shiva created by Isha foundation (Coimbatore, India) in a form of AdiYogi . Yog is not just a meditation or an "asanas", but a yog is the connection with a divine and infinite power. During earlier periods of time, sages were connecting themselves with deities or the divine power through "Tapscharya" (Meditation for 12 years of period). It indicates that connecting your consciousness to an infinite is not an easy thing. 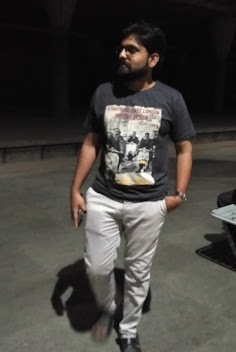 After year's of Yog, you would get few moments of such connect. And it also depicted as the Anand Tatva. Destruction is not necessarily a bad thing. Hence, being the Lord of Destruction is not a bad thing. What is light but the destruction of darkness? What is education but the destruction of ignorance? What is moksha but the destruction of the cycle of birth and death? None of these terms has a meaning without the accompanying destruction, and none of these terms is considered negative. Basically, The Shiva has been considered as a Destroyer of Evil. 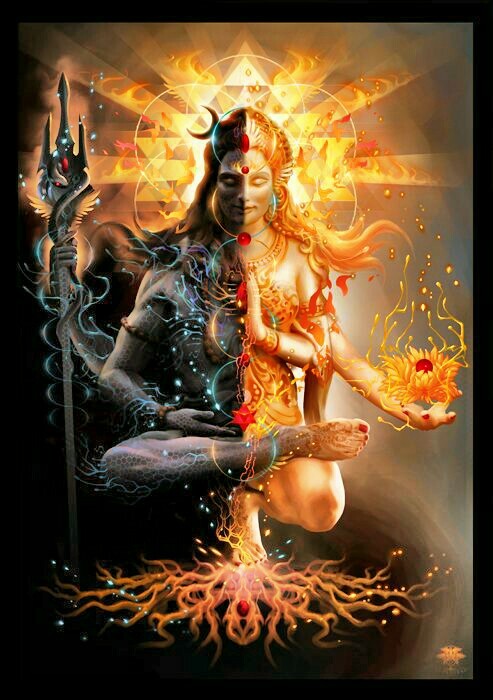 An iconographic representation of Shiva called Ardhanarishvara shows him with one-half of the body as male and the other half as female.This is an important form of Shiva, which teaches us the equality between female and male. Shiva-Parvati always has complimented each other's work. 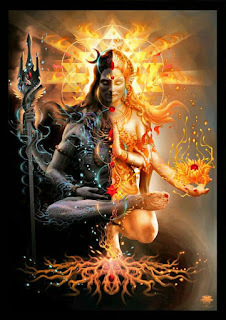 If Shiva is Yog or spirit, Parvati is Shakti (Power). But, our so-called worshipers, deliberately ignore this form of Shiva and have been treating a woman as a Dasi (Servent) of Man. Still, in our modern society, people worship the Shiva, but ignore his teaching of equality. 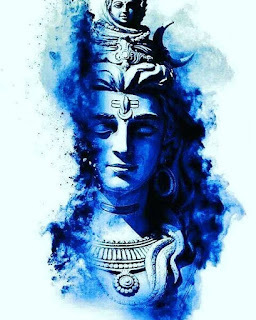 If you reject the equal right of a woman in your family, then you have no right to worship the Shiva. Art is a form, which asks focus, dedication and right intention. 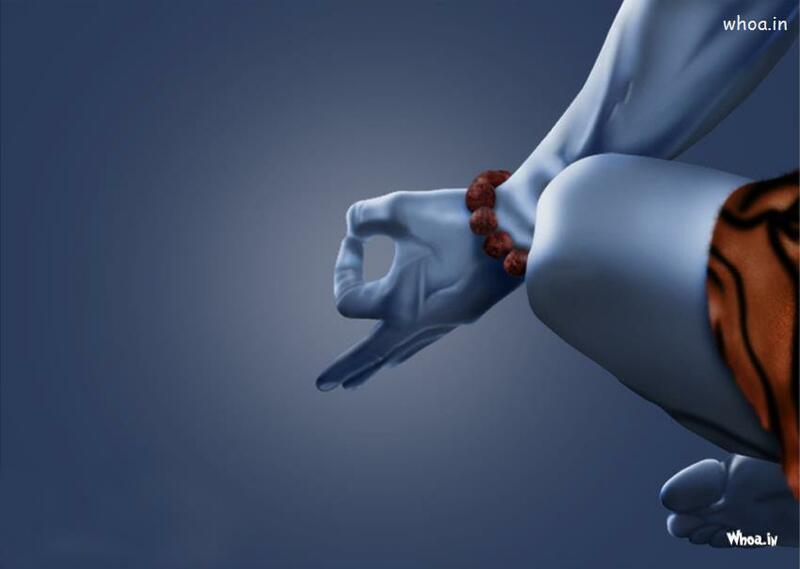 We know that Shiva loves the Tandava dance form. 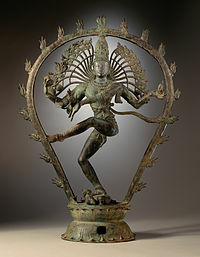 Dance artists worship him as "Natraj". Art can also be called as a one of key form to connect with self as well as divine power. If you have witnessed an art explored at Ellora caves (Maharashtra, India), you can devise a power of spirituality and art with a combination. Worshippers will never like an idea, that their deity was a living legend on earth. Because that takes out their divine form. Is it really? I know it will be difficult to unveil the exact history of Shiva, but we can learn a lot from the scriptures which describe the life of Shiva. Note: Above article doesn't mean to hurt or manipulate religious feelings, but to explore and motivate the learning more about your deity. It can build your faith on a strong base, which can't be shattered by an earthquake from any false agents of god. If you have any counter views, please comment in the box below this article. Thanks for reading..! !